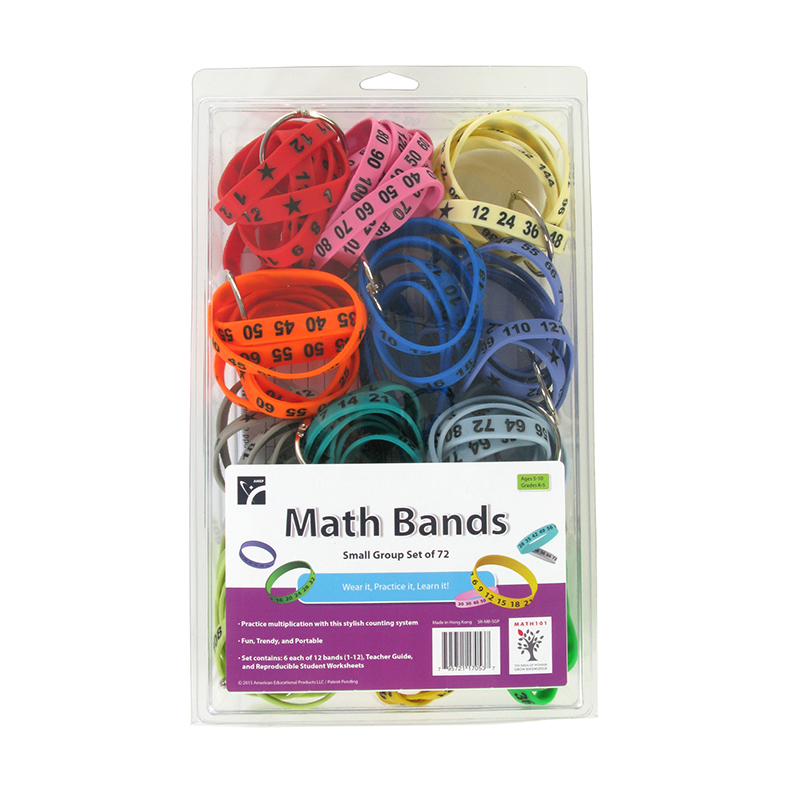 Math Bands for Multiplication are silicone bracelets designed to be used with the entire class or on an individual basis. These stylish bracelets enable students to practice the same fact set at the same time, but at their own pace. Wearing Math Bands provides opportunities for study and practice at lunch, recess, in the hallways, at home, or anywhere!